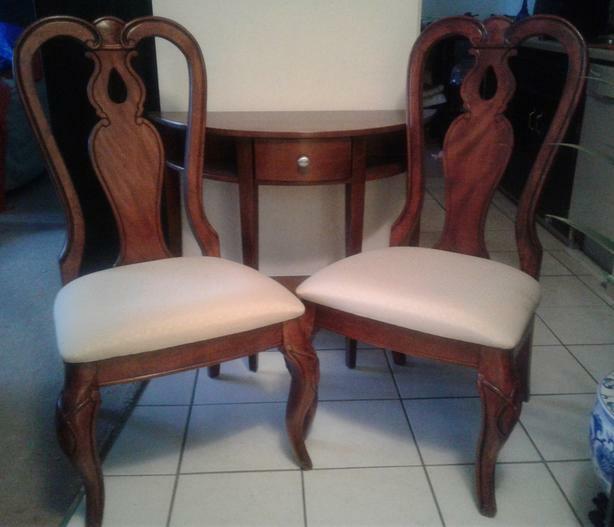 Two dining room chairs for sale. Excellent condition. $60 for two. Smoke-free home. Pick up only. Downtown Calgary. Text 403-708-7613.